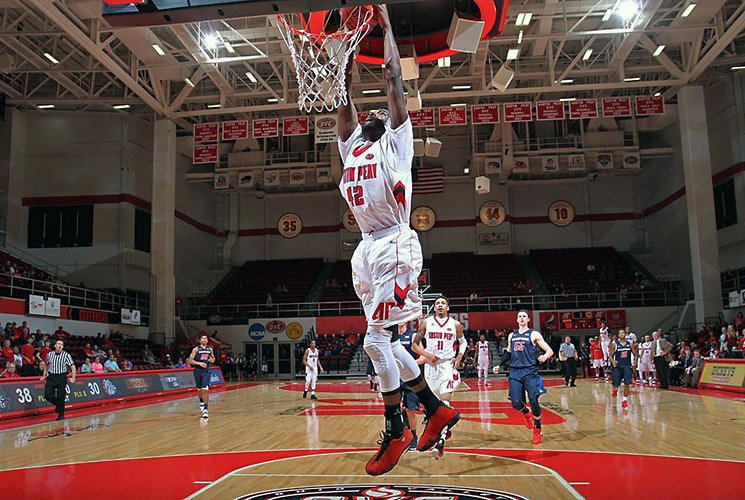 November 2015 Archives - Clarksville Sports Network - Clarksville Tennessee's most trusted source for sports, including Austin Peay State University. Clarksville, TN – A poor second half start again proved costly as Austin Peay State University women’s basketball team fell to Middle Tennessee, 86-55, in nonconference action at the Dunn Center, Monday night. Austin Peay (2-7) got off to a good start, making four of its first six shots to grab a 10-4 lead at the 5:34 mark of the first quarter. Clarksville, TN – A week ago Austin Peay State University announced that football head coach Kirby Cannon would be relieved of his duties as head coach after three seasons, and an overall win-loss record of 1-34, but that in of itself won’t fix a program that has suffered through 29 losing seasons over the past 31 years. 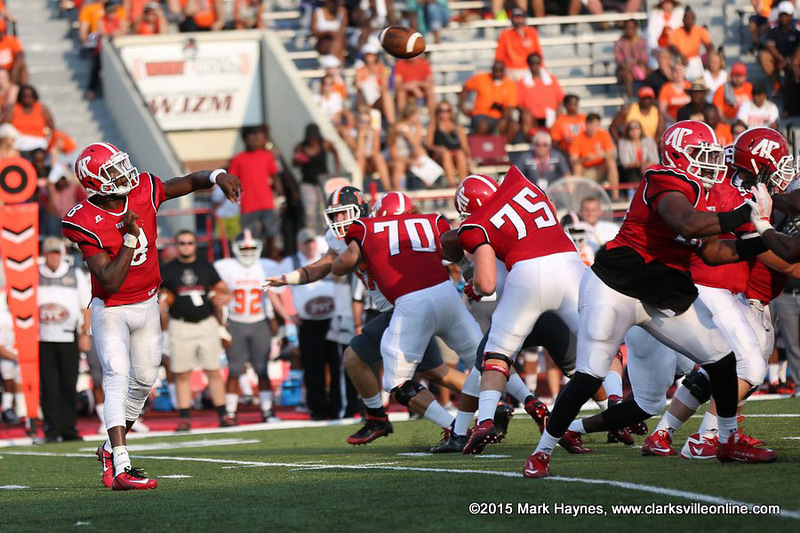 But with the exception of two or three spans in its 79-year football history Austin Peay has struggled to win on the gridiron, with only 18 winning seasons (three more that finished at .500) for the Governors and an overall record of 275-520-16 for a .349 winning percentage. Austin Peay State University Football. 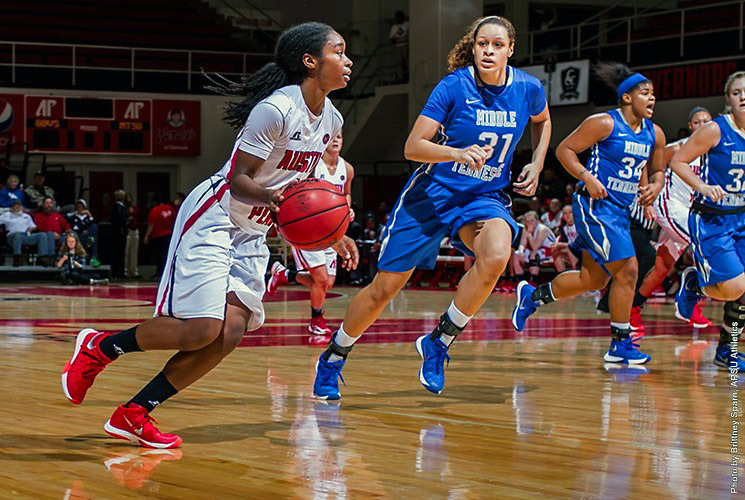 Knoxville, TN – Diamond DeShields scored a season-high 24 points and No. 4/5 Tennessee surged in the fourth quarter to pull within four points, but the late rally was not enough as the Lady Vols fell to No. 8/8 Texas, 64-53, on Sunday at Thompson-Boling Arena. 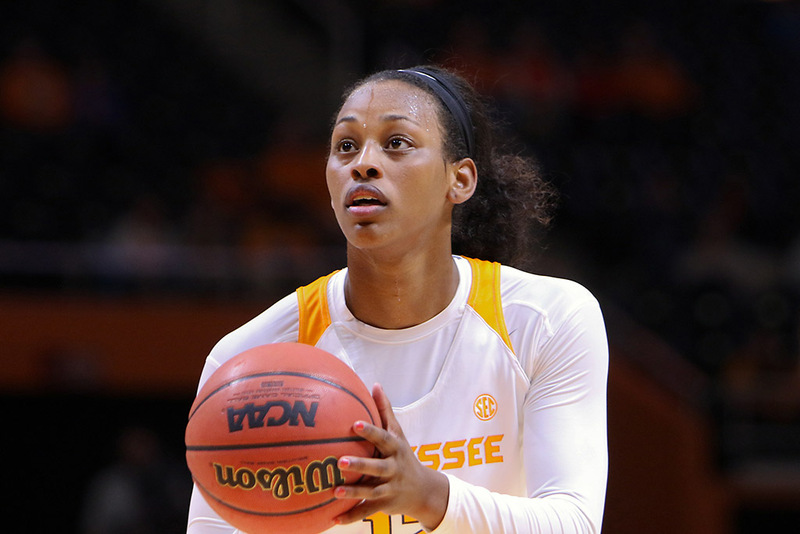 DeShields was 9-of-22 from the field and made big shot after big shot to keep the Lady Vols (5-1) in the game. She grabbed a season-high 11 rebounds to record the second double-double of her career. Her 24 points were her most as a Lady Vol and her most since recording her only other double-double, a 24-point, 12-rebound effort against Michigan State on March 25th, 2014, when she played for North Carolina. 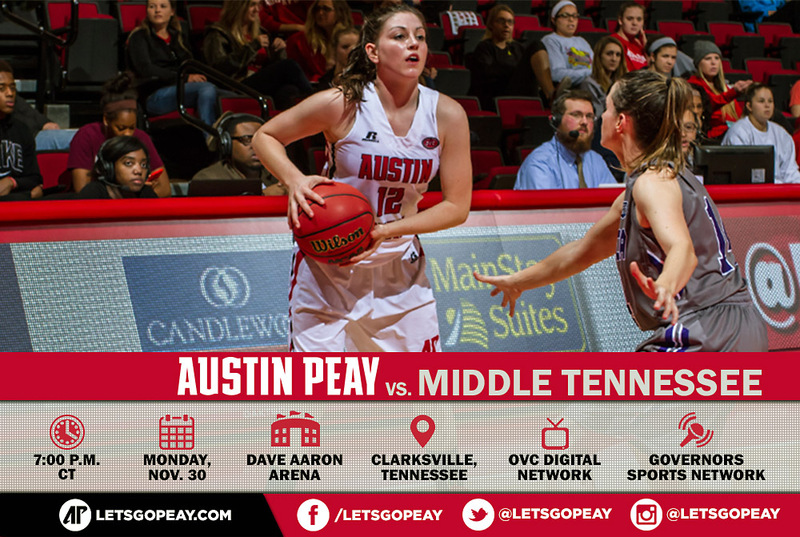 Clarksville, TN – Austin Peay State University women’s basketball team makes a brief one-game stop at the Dunn Center when it hosts in-state foe Middle Tennessee in a 7:00pm, Monday contest. The Govs return home after a win less five-game road trip that concluded with a pair of losses at the Vanderbilt Thanksgiving Classic. 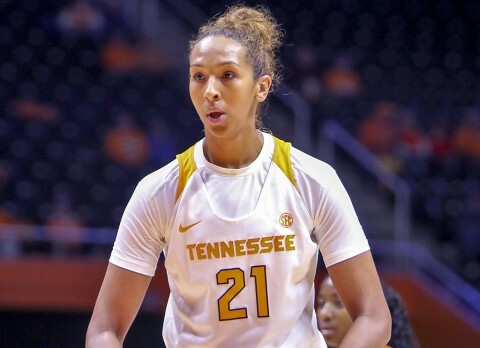 Brooklyn, NY – Tennessee lost to Nebraska, 82-71, in the consolation game of the Barclays Center Classic on Saturday afternoon, as the Vols (4-3) played their second game in less than 13 hours. 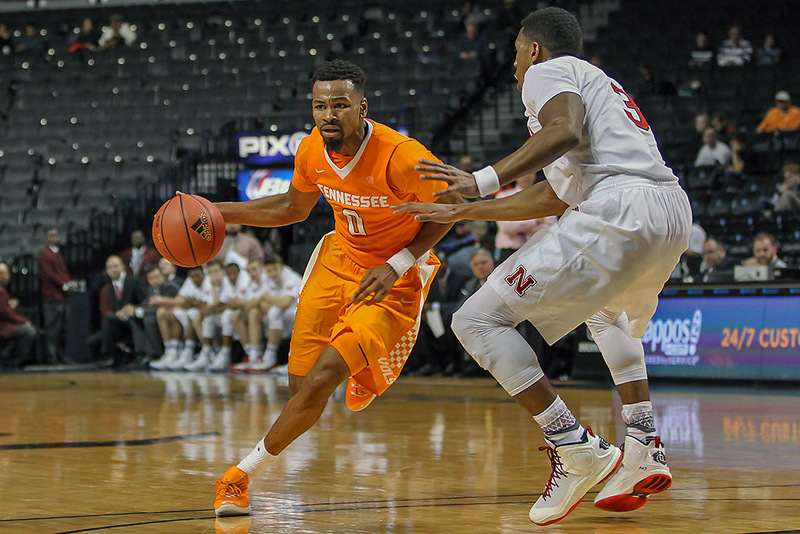 Tennessee was led by Kevin Punter Jr., who tallied 23 points. Robert Hubbs III added 13 and Admiral Schofield scored 12 points. Nebraska (5-2) was led by Tai Webster, who netted 18 points. He was joined in double-figures by Andrew White (15), Shavon Shields (11), Jake Hammond (11) and Glynn Watson Jr. (10). Hammond grabbed 10 rebounds as the Huskers out-rebounded the Vols, 46-30. Clarksville, TN – Kenny Jones scored a season-high 23 points, but it was junior guard Josh Robinson who sealed the verdict with a pair of free throws with eight seconds left as Austin Peay State University held off Samford, 74-73, in non-conference basketball action, Saturday night, in Dave Aaron Arena. The victory was the third straight for the 3-4 Governors, who halted 5-2 Samford’s five-game winning streak in the process. Knoxville, TN – The #4/5 Lady Vols (5-0) continue their eight-game homestand with a top-10 matchup against #8/8 Texas (4-0) at Thompson-Boling Arena on Sunday. Tipoff is slated for 2:30pm, and the game will be broadcast live on ESPN. Tiffany Greene (PxP) and Carolyn Peck (Analyst) will describe the action on ESPN/WatchESPN. Fans can hear the Lady Vol Network broadcast on stations across the state as well as via a live stream worldwide with Mickey Dearstone calling the action. 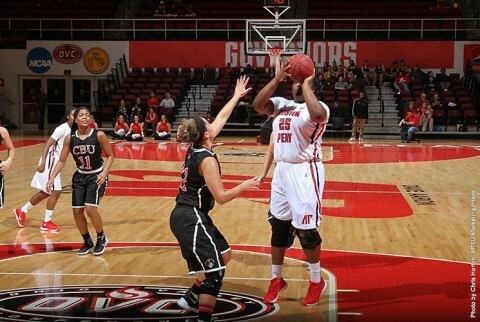 Nashville, TN – Junior center Tearra Banks scored a season-high 20 points but Austin Peay State University women’s basketball team could not overcome a third-quarter drought in a 90-58 loss to Indiana, Saturday afternoon, in the consolation game of the Vanderbilt Thanksgiving Classic at Memorial Gym. Knoxville, TN – A sensational opening three games of the 2015-16 season by Tennessee’s Bashaara Graves earned the senior her first-ever SEC Women’s Basketball Player of the Week nod on Tuesday. Graves, a 6-foot-2 forward from Clarksville (Clarksville High School), actually shared the honor with Texas A&M’s Courtney Walker. The UT standout had not drawn weekly honors from the league since she was named SEC Freshman of the Week four times in 2012-13. 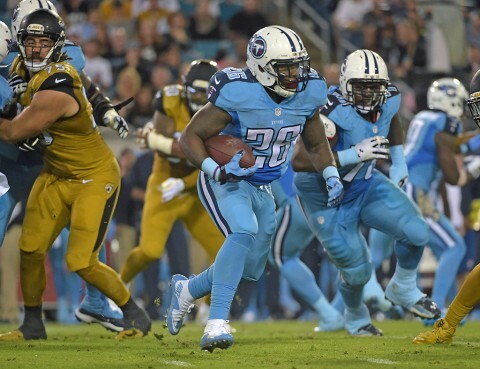 Nashville, TN – The Tennessee Titans (2-8) host the Oakland Raiders (4-6) this week at Nissan Stadium (capacity 69,143). Kickoff is scheduled for noon CST on Sunday, November 29th. This week’s game will be televised regionally on CBS, including Nashville affiliate WTVF NewsChannel 5. Play-by-play announcer Greg Gumbel and analyst Trent Green will call the action, and Jamie Erdahl will report from the sidelines.